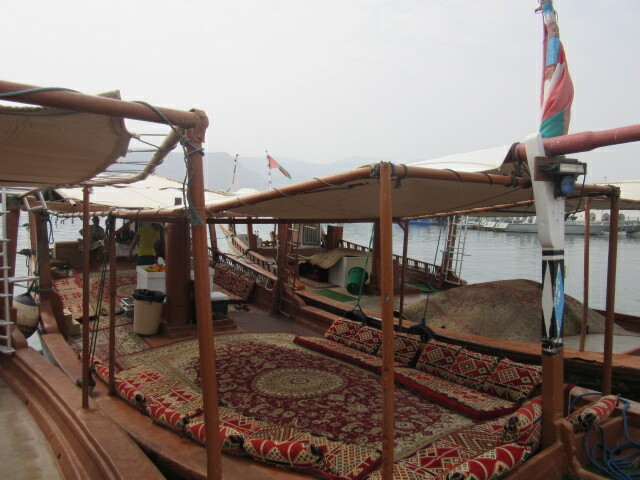 I joined Dhow Cruise Tour. 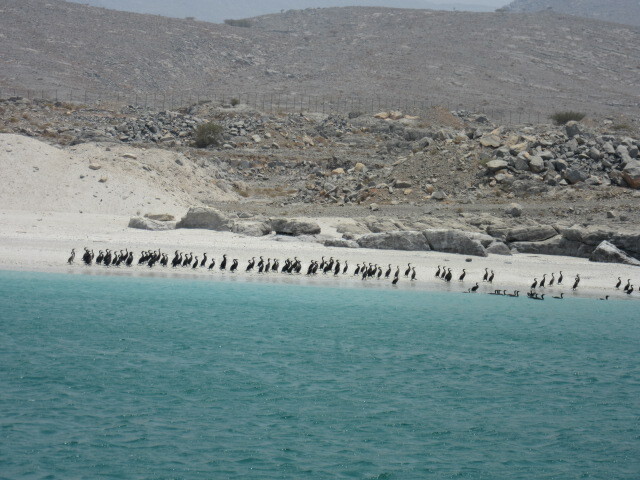 Until that time, I had thought I was the only tourist visiting here, Khasab. After 10 minutes waiting, an Italian family of a mother and a son came. Then after, a Pakistani family came: a father, a mother, a grandmother and a baby living in Dubai. 9:30 AM: We left the pier. 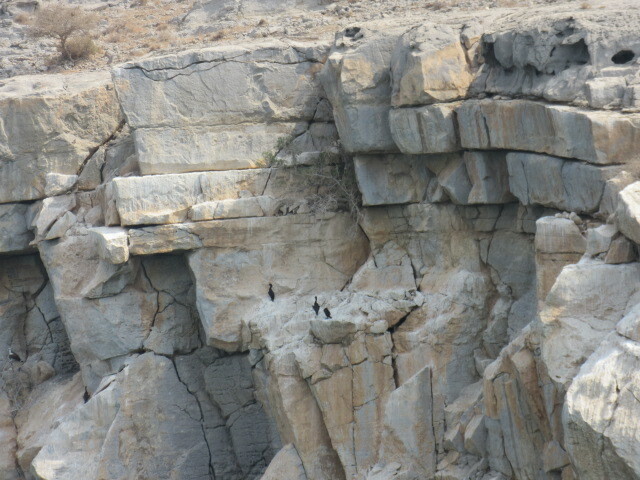 Magnificent view is widespread soon after. 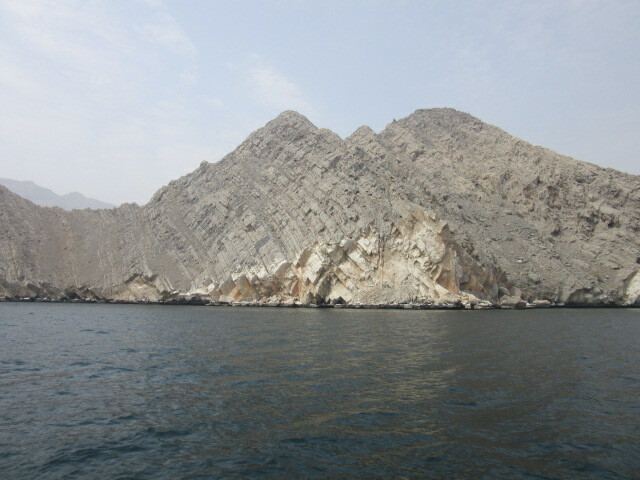 They say here is Oman Fjords. 00:59 She is jumping in the air. 10:30 AM: We reached a tiny island. 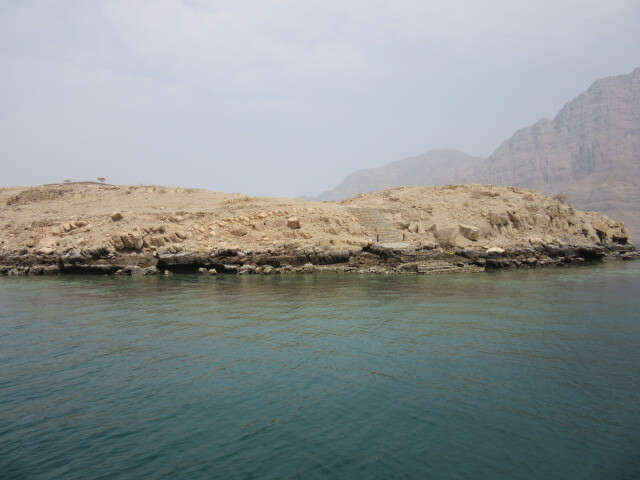 Here is a snorkeling point. The staff started to throw slices of banana. Then, fishes gathered to get. At first, the Italian family started snorkeling. Next, the Pakistani family got in the ocean. The Italian family taught the Pakistani family how to swim. It was too late. I cut my feet by shells. As I stared at where I was going, there were lots of urchins. I feel shivering if I went further. 12:00AM: We had lunch. 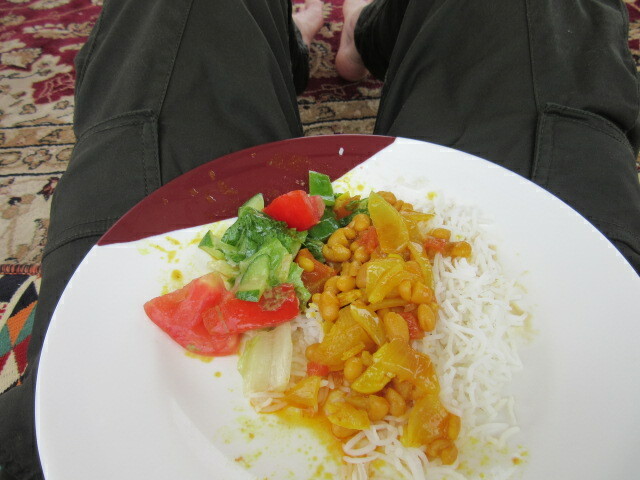 That was the first time I had lunch in public in Oman because of Ramadan. 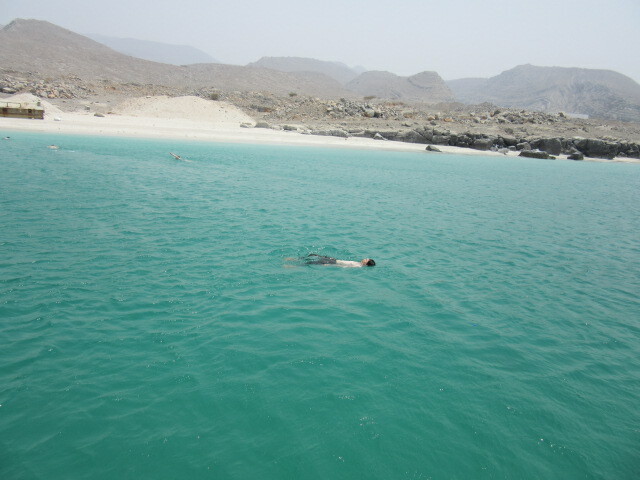 1:00PM: We got to the another snorkeling point. No reason to hesitate to swim anymore. I landed on the beach. “Hurts!” Strong wind carried tiny tiny tiny pebbles from mountains. No good to take a rest there. On the way back. I tried to play with the Pakistani baby. But, she didn’t show any interest to me. That was so in the Philippines last year(Aeta Tribe – The Phillipines – Magnificent View, Sep 7, 2014). Am I scary for babies? At last, my mind hurts. looks like penguins. but, i’m not sure and didn’t ask at that time. i should take a video. fishes were jumpjng in the air. thank you, Sun! Snorkeling is fun. Very good thing you brave to dive in. Very nice picture of you and the fish, as cute as the dolphin! Thank you, Rommel! You’ll love Oman, too. Such wonderful trip and nice pictures specially the one with jump. 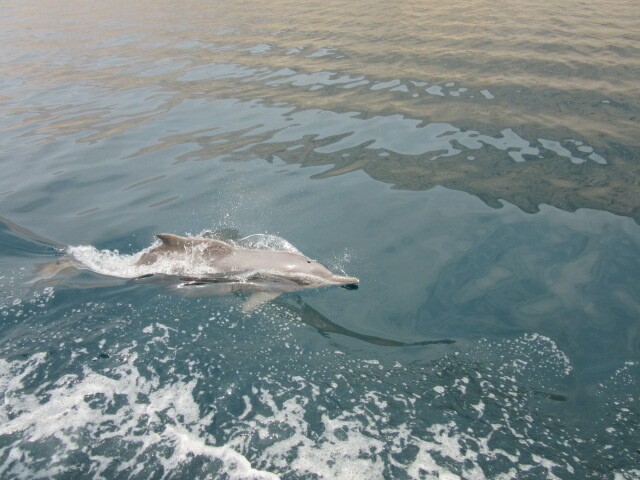 Dolphin watch during dhow cruise make your trip even better with some got spots for dolphins. thank you, Shanawar. Oman is a peaceful country.